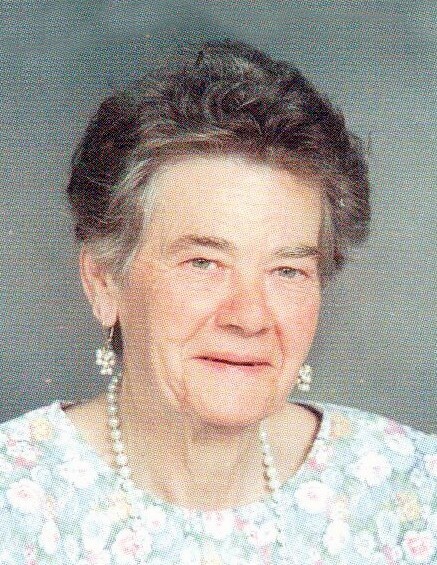 Helen F. Meisenbach, nee Kelley, 87, of Waterloo, IL, died September 10, 2018, in Waterloo, IL. She was born December 12, 1930, in Tipton, IL. She is survived by her children Earlene Meisenbach, Charles Meisenbach, James Meisenbach, Virgil Meisenbach, Joyce Everson; granddaughter Josie Everson; brother Edward "Bob" Kelley; brother-in-law James Devine; nieces; nephews; & cousins. Helen is preceded in death by her husband Earl F. Meisenbach; parents Walter J. Sr. & Mary Eva (nee Walsh) Kelley; son-in-law Kenneth Everson, Jr.; brothers David M., William R., Walter J. Kelley Jr., and James W. Kelley; & sister Josephine Devine. She was a member of St. Patrick Catholic Church - Tipton, IL, former seamstress, & worked at Snyder General.